The greatest tragedy any family can suffer is the loss of a loved one. That tragedy is compounded when the loss is due to the negligence of another driver, a manufacturer who put profits before safety, a property owner who failed to protect their customers, or for any other reason.  In Florida, when a loved one dies, the personal representative of the estate has a right to bring two types of actions against the wrongdoers – a survival action and a wrongful death action. Both cases are normally brought at the same time but there are key differences. The people who benefit may differ. The damages are different. Sometimes, a victim of a car accident or other negligence files his/her own claim, and then dies before the case is concluded. The case doesn’t die with the victim’s death. The case survives until a settlement or jury verdict is reached. The same idea applies if a decedent didn’t have a chance to file a claim before dying. The main key is that the decedent would have had a claim had he/she lived. Any lost wages due to their injuries. 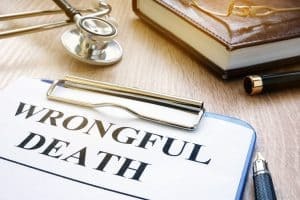 In a nutshell, a wrongful death action seeks to compensate the family members of the decedent for the loss of the decedent. Like a survival action, the personal representative of the estate files the wrongful death claim. The beneficiaries of the wrongful death claim generally are the spouse, children, and parents. Other possible beneficiaries, depending on the makeup of the family, may include other blood relatives and adoptive siblings who depended on the decedent for support. Additional exceptions and considerations may apply. The loss of guidance and parental care suffered by the children. There are specific time limits for bringing both survival and wrongful death actions. Generally, experienced lawyers use financial and vocational experts who help place a value on the loss of guidance, loss of financial support, and other damages. For example, the expert will begin by determining the decedent’s yearly wages or yearly business income. The expert then calculates the age the decedent normally would have lived to. The number of years from the date of death to the date of normal retirement are then multiplied by the yearly income (with adjustments for typical raise increases and inflation). If the decedent was a stay-at-home parent, then the financial expert calculates the cost to pay someone to perform the same services such as child care, cooking, and other services. When someone dies due to the negligence or fault of another, the consequences are devastating. No amount of money can ever replace the loss of a loved one. At Yeboah Law Group, our experienced wrongful death and survival lawyers understand your grief. We work to hold wrongdoers accountable for the financial damages Florida allows. We represent families of victims injured in or near Fort Lauderdale, Miami, and South Florida accidents. To schedule a free consultation, please call us now at 800-TELL-SAM or fill out our contact form. Meta description. Survival actions compensate the deceased as if he/she were still living. Wrongful death claims compensate the family members for their tragic loss. For help when a loved one is wrongfully killed, call the Yeboah Law in Fort Lauderdale today.